We offer our award winning all-you-can-eat Prime Rib & Seafood Buffet on the last Friday of each month from 4:00pm - 8:30pm. During those times our regular menu is also available. 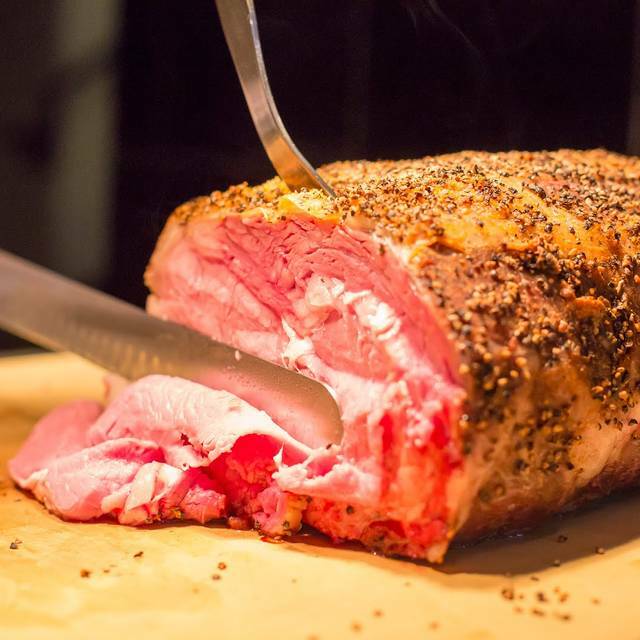 Wednesdays from 11:30am - 1:30pm is Doc's famous Lunch Buffet complete with a roast beef carving station and various entrees, salads, and yummy desserts. 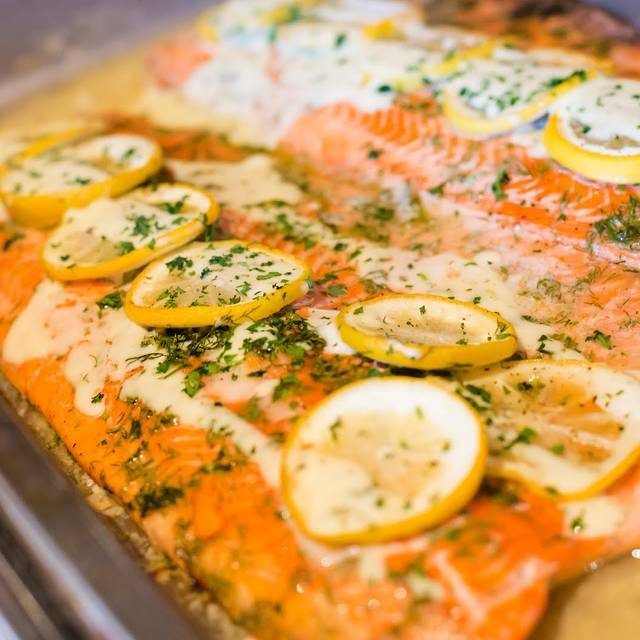 Magleby's Weddings and Catering have served Utah with the state's finest full-service catering for 30 years. We are leading professionals in Utah County for wedding receptions, holiday catering, social catering, and corporate catering. 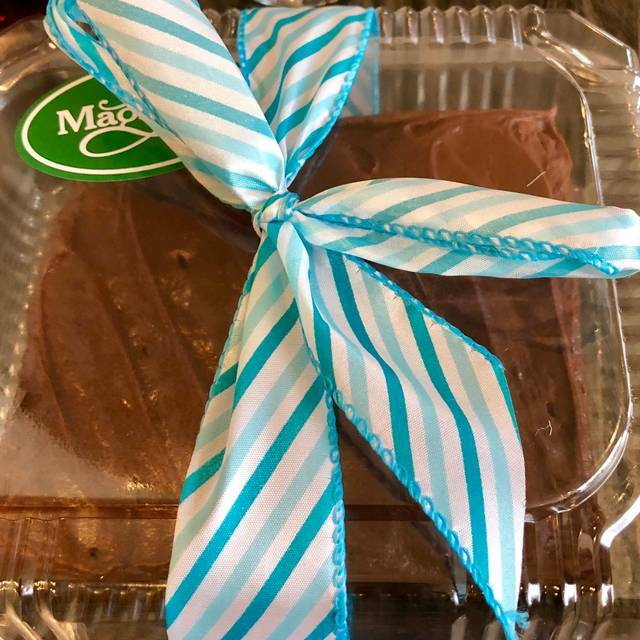 In addition to our large catering services, Magleby's is well known for its beloved restaurants, gourmet takeout, and our Utah famous desserts. Magleby's Grotto is an elegant dining room with a cascading waterfall, bone china, audio/visual capabilities and a historic feel that give you the fine dining experience you have been searching for. It's the perfect place for wedding luncheons, rehearsal dinners, corporate or holiday parties and can comfortably seat up to 120 guests. 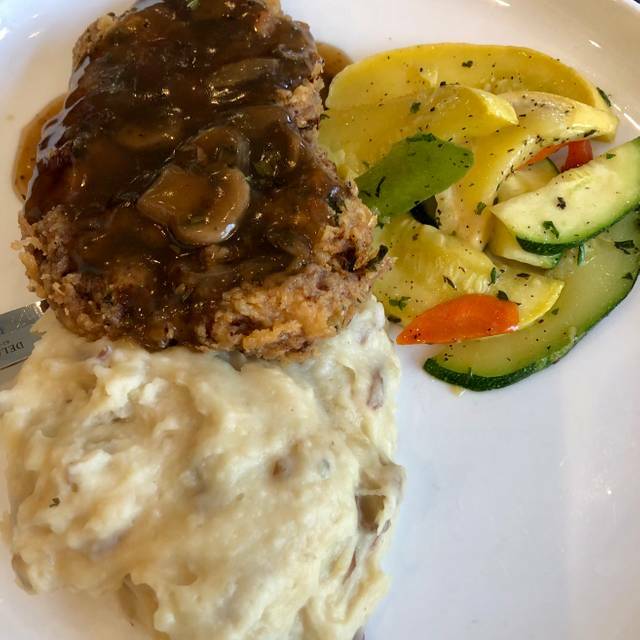 Magleby's has been a Utah Valley favorite for over 30 years. Winner of over 25 Best Of Categories. We are Utah Valley's only prime steak house. Magleby's elegant dining room has a cascading waterfall, bone china, audio visual, and a historic feel that give you the fine dining experience you’ve been searching for. It also has a wonderful private room for 10 -120 guests. The beef medallions were tough; waitress was inattentive. On whole the experience was not worth the cost of the meal. Amazing atmosphere, food was mostly wow (didn't love the chicken fried steak), but the pasta and the special were delicious! We had the Halibut and it was delicious as always. 5 stars. From the food to the service to the atmosphere. Thank you for being patient and accommodating with my little one! Definitely will come again. Great restaurant for any occasion. Consistently good food, and consistently good service. We loved the Springville location. Set in a former art gallery, the interior is beautiful. Our server was incredible. She checked on us often, gave us a history of the location and was knowledgable about the food dishes. Prices are very reasonable considering the large portions we received. Will go back for sure!!! The food, service and atmosphere was excellent. It was wonderful to find such a nice place close to home. Congratulations to the owner and operators. You really have a gem. The meal was a great disappointment, especially considering the price. The steaks were so tough we could hardly cut them with a steak knife much less chew the meat. Although the place was nearly empty we were placed right next to a table of three men whose conversation we could not avoid listening to. We finally asked to be removed to a more remote table. We were celebrating our anniversary , but were very disappointed about the Magleby experience. We thoroughly enjoyed our meal at Magleby's. I had prime rib and my wife had a rib-eye steak. Both were excellent and the asparagus that came with them was cooked to perfection. Many restaurants just throw in some vegetables almost as an afterthought. Not at Mageby's. The service was excellent and the ambiance was lovely. It was quiet enough to talk easily and even hear clearly the wonderful piano music in the background. We ate at 5:00 p.m., which is on the early side, so it may have been noisier later in the evening, when it was busier. Prime rib dinners for my husband and the other gentleman were excellent. My shrimp dinner was okay. A bit scare number of shrimp, and they were greasy. The other lady with us ordered chicken fried steak with gravy on the side. It came covered in gravy. She asked them to replace it with gravy on the side, which took close to 20 minutes. The rest of our party was almost finished eating. And her dinner was burned, tough and no taste to the gravy or breading on the meat, which was falling off because the meat was so over cooked. They did take her dinner off of their tab. But since we had taken the other couple there and it was their first time, it was very disappointing. The prime rib and seafood buffet is something everyone should experience. Food was great, server did well, the chef was particularly slow this time. We had a wonderful time celebrating our anniversary at Magleby's. The staff was friendly and the service quick. I feel the salmon we had was the best I have tasted. We enjoyed what I felt was the best table in the restaurant. We could not have asked for a better meal in a better place. I would say that Magleby's would compare well with any other restaurant in the world. We enjoyed our meal. The piano player was awesome. Went for the Valentine's buffet. $155 for raw prime rib, and not much else, a waiter who forgot our refills, a tiny wobbly half table shoved up to the fountain on an aisle so that I had to squoosh and eat on the corner so the constant flow of people wouldnt bump me while eating. Never again. I think Magleby's is a great place. Great food. Great Service. Great atmosphere. Great... not good GREAT. They have always met or exceeded my high expectations . They deserve this review. The price was good, but the food was bland. The entree was the least flavorful part of the whole meal. 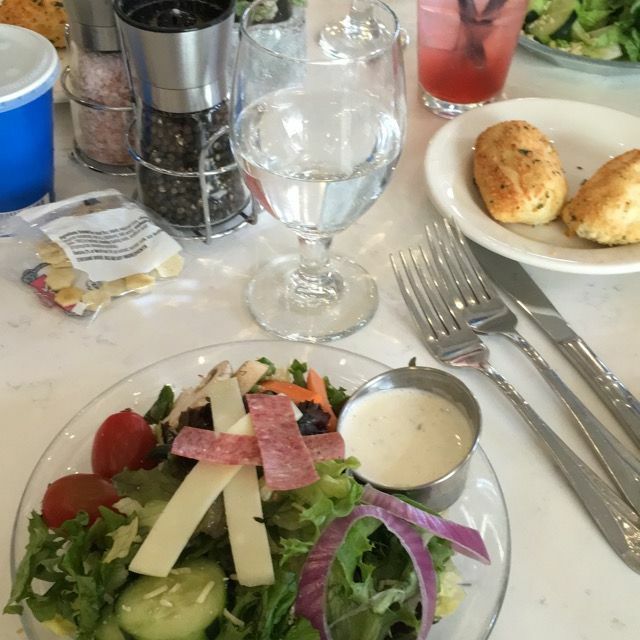 In fact the bread and salad were more recallable than the meal’s taste itself. I had reserved a table for 2 for the Wednesday buffet. Was glad I did as the restaurant filled up quickly at 11:30. Various food were very good and kept replenished. I did have to ask for a refill on my water. Servers were busy and it was taken care of promptly. We absolutely loved going to Magleby's. We were seated right away. It was their Friday night Prime Rib and Seafood buffet, and it was sooo amazing! It was delicious and the servers were so attentive! We will for sure be back! We want to bring our family next time! Amazing food! A pleasant hostess greeted us and showed us to our table. My wife asked if we could sit at a table closer to the water feature. She accommodated us per our request. Our server promptly introduced herself and brought us some delicious rolls. While we were perusing the menu, she explained the evening's specials. However, she did not include the prices with her description. Prices should be part of the description because the diner is trying to make a decision, part of which includes value. The diner should not have to ask the price. It is embarrassing. My wife ordered the Chicken Italiano with chicken tortilla soup. I ordered the special flat iron steak with clam chowder. We thought the soup courses, while tasty, were too large for a first course. The chowder was nicely seasoned had too many potatoes and lacked enough clams. 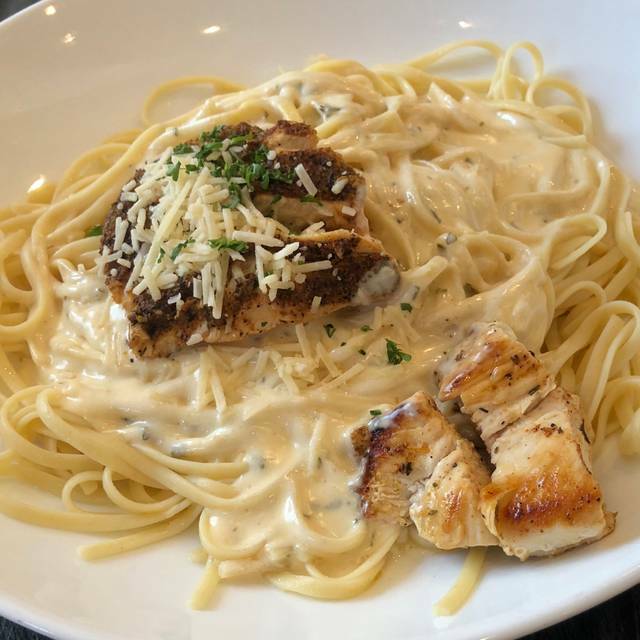 My wife enjoyed the chicken portion of her entree' but it was served with way too much pasta. My flat iron steak was just the right portion. It was tender and cooked to a perfect medium rare. However, I was not enamored with the seasoning on it. It masked the beefy taste characteristic of a flat iron steak. Rather than presenting a desert menu for us to consider, our server told us what was available that evening as she cleared our dishes. Again, there was no mention of prices for the desserts. This made us feel rushed. We selected a sampler that sounded good, which it was, for the most part. The creme brulee was excellent but the strawberries tasted stale. I guess our biggest disappointment was the bill. While the price for the flat iron steak may have seemed reasonable to some, I thought it was high and would not have ordered it had I known the cost. In addition, we felt the dessert was overpriced and would not have ordered it had we know the price. In summary, while the meal and service were reasonably good, we felt it was over priced. Had never previously gone to the Wednesday buffet . . . wow!!! What a treat! The food was delicious. We ate too much. I loved the live piano music - not too loud so that we couldn't talk, but loud enough to hear melodies. I really enjoyed the ambiance. I was there with my sisters & mom - first time I had been - they'd been before. I want to take my husband back. Just one thing that could have been better: I ordered the special pepper steak - it came a few minutes later than all the other meals. I think they should all come out together. A+ from beginning to end. Our waiter Stormie (I think that was his name. He was from Nor California) was amazing. Hands down the best dirty Dr pepper I've ever had. While there were no other kids there at first our kids were enjoying themselves and the staff was great with them. All of our food was divine. Even though we were stuffed we got dessert. We tried cheesecake, creme burlee (it was huge), and pumpkin pie. They were all delicious and light (not heavy and thick making you more lethargic after a big meal). Seriously it was worth the drive from Eagle Mountain. Everything was great. We will be back for the food and the ambiance. We were celebrating my sons 17th birthday. The live piano player on Friday night is so relaxing. The food was excellent and the service was fantastic. One of our favorite restaurants. Seated immediately. They had a lunch buffet special that day. Great restaurant. This was a great experience for a first date. The couples were all on their very first date and a high school dance and it was perfect. Absolutely fantastic. Never a bad experience because of great food and services. Super clean, and overall my favorite restaurant. 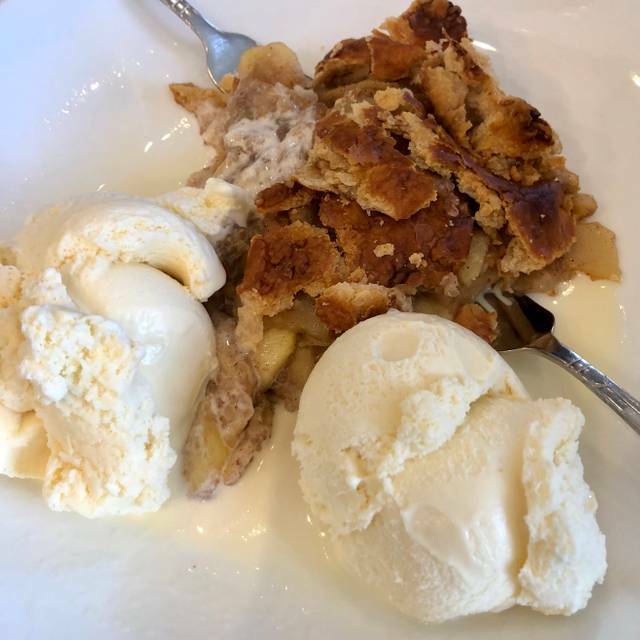 Oh, and don’t even get me started on the dessert! Magleby's has been a favorite restaurant for many years. We realized we had not been there for a while and decided our anniversary would be a great opportunity (and my wife was dying for their Wonderful Halibut). It was everything we remembered and then some. It was well-worth the drive from Tooele to Payson for our Daddy-Daughter date. We shall return. So nice to take my son to a “classy” place. I nice step up for Utah County restaurants. Great way to teach additional manners of silverware, behavior, and proper etiquette. The restaurant was clean and sparkling. The staff were courteous and attentive. The food was delicious. I especially enjoyed the chocolate cake dessert deluxe. It was everything I had heard about it and more. The only drawback to our nice meal experience was the large table of people at the back of the room. They became louder and louder as the evening wore on, and were quite distracting. They finally quieted down as some of them left. We loved our dining experience and will definitely go back. This is my favorite restaurant! The ambiance is marvelous, the food is delicious and the service is wonderful. It is extremely reasonably priced for frequent dining but the food is gourmet. I particularly love the all-you-can eat dinner buffet on the last Friday of the month. All the crab, prime rib, chicken dishes, salads, desserts, etc, etc, I can eat! Yes, sign me up! This restaurant also gives back to the community and the owner and family are really genuine and just fantastic people! It was perfect. We had extra family members coming at the last minute. We had the table for eight in the front corner. It was wonderful. We had enough chocolate cake for each person! They were very accommodating to our big group. We had guests show up that hadn’t rsvp’d and they helped add them easily. Great place to have lunch with friends and celebrate a bride. Thanks for your awesome service! Magleby’s is a “sure thing”.....it is always great!! Our Lunch Bunch enjoys eating at restaurants every other month. For July we came again to Springville's Maglebys. It has the highest rating of the many restaurants we have attended. 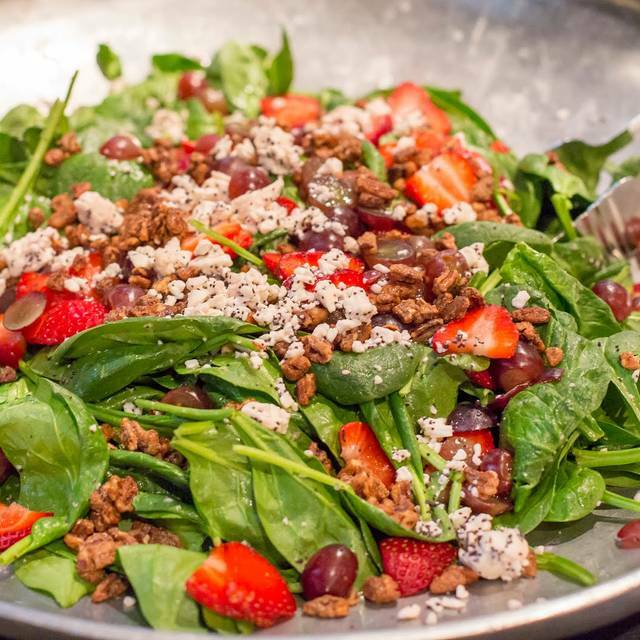 We love the fresh food prepared with the best recipes. We will come again for our Lunch Bunch.